A.J. De Bartolomeo has nearly thirty years of experience prosecuting class actions and complex matters in courts throughout the country. 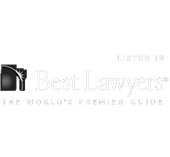 She has extensive expertise litigating mass personal injury matters involving defective drugs and medical devices. A.J. currently serves in court-appointed leadership positions in several MDL mass tort actions, including serving on the Plaintiffs’ Steering Committees in the In re: Yaz and Yasmin Birth Control Litigation, In re: Actos Products Liability Litigation and In re: Pradaxa Products Liability Litigation. She serves on the Law and Briefing committees and has been involved with Daubert briefings in a number of cases. A.J. previously served on the Plaintiff’s Steering Committee in the In re Transvaginal Mesh Litigation. Committed to advancing opportunities for women lawyers, Ms. De Bartolomeo is the former Chair of the Women’s Trial Lawyer Caucus of the American Association of Justice, where she oversaw the caucus’s work in leadership training, student scholarship, membership and political outreach, and other pro-civil justice functions. She is an active member of the American Bar Association Sections on Tort Trial and Insurance Practice, the American Bankruptcy Institute and Consumer Attorneys of California. 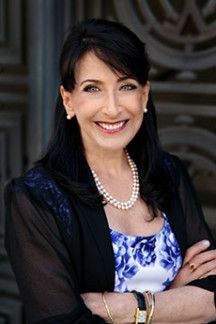 Ms. De Bartolomeo has been named among the highest class of attorneys for professional ethics and legal skills with an AV-Preeminent rating by Martindale Hubbell, and was recognized by her peers as a Northern California Super Lawyer every year since 2013. Ms. De Bartolomeo frequently speaks before industry organizations on developments in consumer class actions, mass tort litigation, Daubert challenges, Rule 37 and Inherent Power sanctions, and the settlement approval process. She is Of Counsel to Gibbs Law Group and a partner with Milberg Tadler Phillips Grossman LLP. A.J. serves on the Plaintiffs’ Steering Committee in this coordinated litigation on behalf of women throughout the country who suffered serious side effects after taking Yaz, Yasmin and Ocella birth control. She serves as co-chair of the Law and Briefing committee and substantially contributed to the Daubert briefing that defeated all of the defendants’ 16 challenges to plaintiffs’ expert testimony. A.J. serves on the Plaintiffs’ Steering Committee in this coordinated litigation on behalf of individuals who were diagnosed with bladder cancer after taking the oral anti-diabetic drug Actos. She serves as a member of the Law and Briefing committee in this litigation. A.J. serves on the Plaintiffs’ Steering Committee in this coordinated litigation on behalf of individuals who suffered internal hemorrhaging and other serious complications after taking the anticoagulant drug Pradaxa. She serves on the Daubert briefing committee in this case. A.J. served as Lead Counsel for unsecured creditors in two class action cases in the General Motors bankruptcy proceedings (court-certified classes in In Re Piston Slap Class Litigation and In Re Dex-Cool Class Litigation). The cases were settled in Bankruptcy Court for nearly $12 million. Served as second chair and achieved settlement of $100 million on behalf of individuals who bought financial plans and invested mutual funds from American Express Financial advisors. Served as Co-Lead Counsel in the representation of California State Teachers’ Retirement System in opt-out securities fraud action against Qwest Communications, Inc. and certain of its officers and directors, as well as its outside auditor Arthur Andersen. Settled for $45 million. Served as lead counsel achieving settlement of more than $2.8 million in cash on behalf of class of commercial subscribers alleging FCA violations for unfair billing practices. Served as second chair and achieved $90 million cash settlement on behalf of MCI subscribers who were charged MCI’s non-subscriber or “casual caller” rates and surcharges instead of the lower rates which MCI advertised and subscribers expected to be charged. A.J. served as lead counsel and achieved a settlement for more than $6.5 million in cash on behalf of class of subscribers overpaying insurance premiums. American Association for Justice- Member, Board of Governors; Chair, State Trial Lawyers Association (TLA) Outreach Committee; Former Chair, Women’s Trial Lawyer’s Caucus; Member, Class Action Litigation Group. Presenter, "Current Class Action Landscape in Opioids Multidistrict Litigation"
Presenter, "Class Treatment: Can These Claims be Resolved by a Class Action?" Presenter and Moderator, "Are you going to eat that? Issues, hurdles and opportunities in food and supplement litigation"
Presenter, "Strategies for Dealing with Objectors to Class Action Settlements"
Presenter, "Plastic in the Pelvis: Essure and Mesh Litigation"
Presenter, "Combatting the Latest Defense Tactics in Mass Torts/ Plaintiff Practice (Spoliation and Rule 37)"
Presenter, "Mass Tort Claims, Daubert Challenges and Causation Issues"
I found comfort in your abilities every step of the way due to the professionalism and explicit dedication to my case as if it were the only one.